Published at Mar 27, 2019. Hello, Gorgias! ChannelReply now supports eBay and Amazon integration with the helpdesk built for Shopify. Ecommerce customer service has never been easier! Gorgias offers the world’s best tools for Shopify customer service. 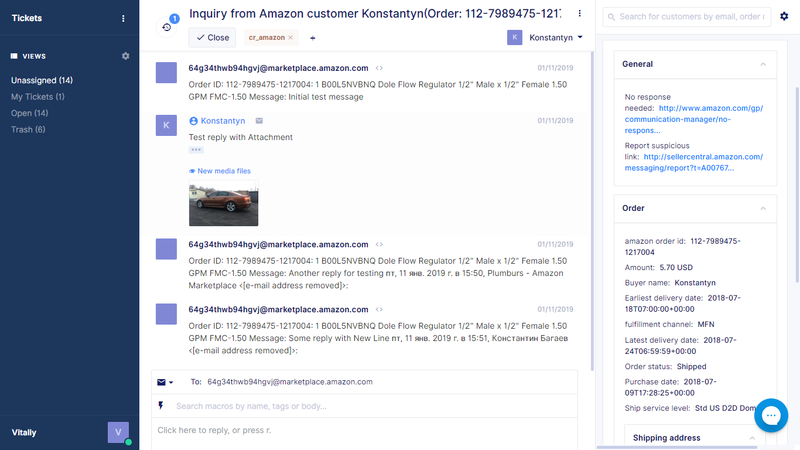 Add the option to answer Amazon and eBay messages from the same screen, and it’s become the perfect helpdesk for online sellers. An Amazon ticket in Gorgias with data from ChannelReply on the right. Start a free 14-day trial of ChannelReply and transform your customer service. Help getting started is available in our quick and easy Gorgias integration instructions. That means you don’t need to switch tabs to look things up or send answers. Everything you need is right there in Gorgias. Always find yourself answering the same questions? Gorgias macros let you save your answers so you can enter them in a flash. Even better, every bit of data pulled in by ChannelReply can be used as placeholders in macros. When entered in a reply to an eBay customer, the code in the curly brackets above transforms into the amount the customer paid. That means you can autofill specifics like the customer’s name and what they ordered. Time to recycle your keyboard! 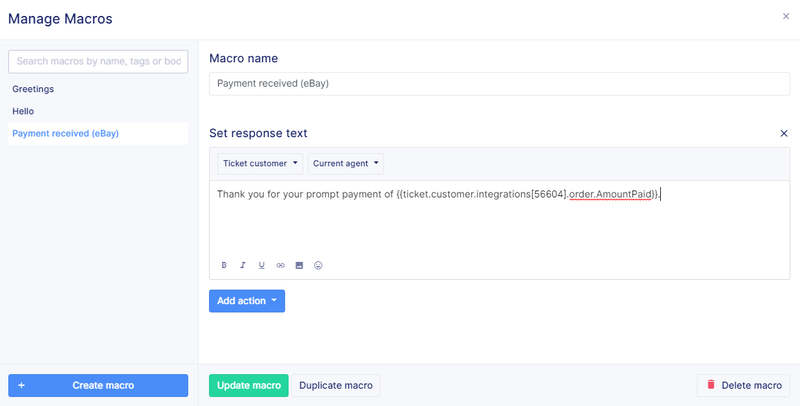 …or auto-reply to common Shopify tickets, notify a supervisor about each new Amazon message, or do tons of other boring tasks that don’t need human direction. Use your staff where brains are essential instead! 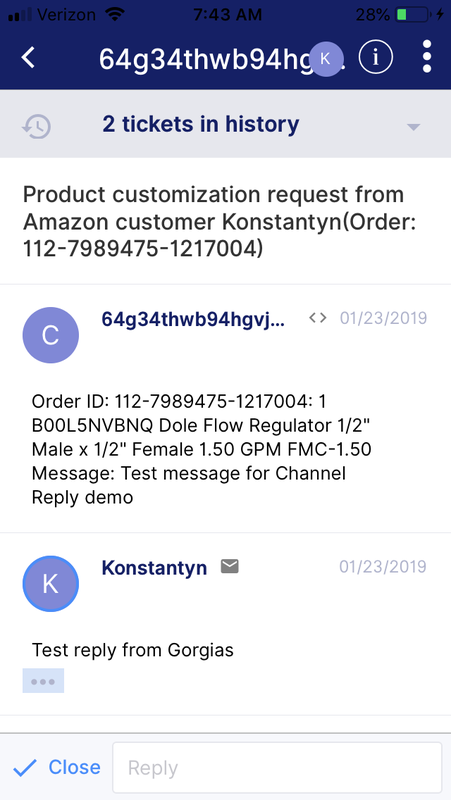 ChannelReply threads eBay and Amazon messages so conversations are easy to track in Gorgias. That means no time wasted looking for what a customer wrote last week—all their messages and your replies are available in the same ticket. …and use the info button to view the ChannelReply app and see your customer and order details. No more hurrying back to your computer just to answer one Amazon message! …individual agent performance, macro use, customer satisfaction and more. Get all the data you need to make decisions fast! 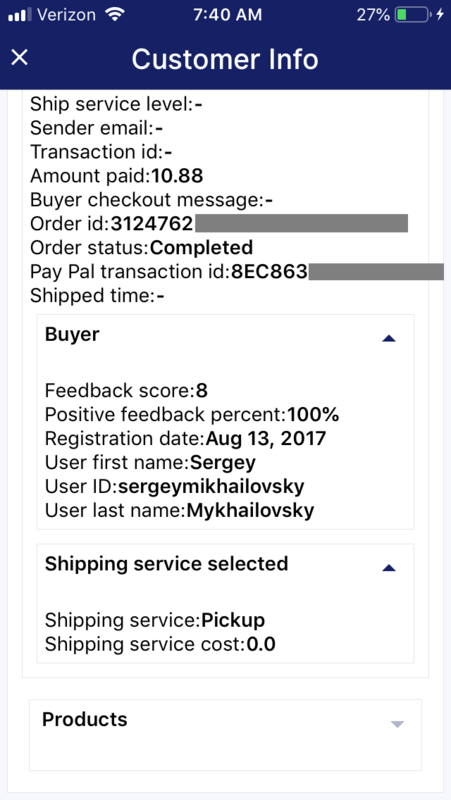 With Shopify and marketplace messages all in one Gorgias screen, ecommerce customer service gets a whole lot simpler. Start your free trial of ChannelReply and set up your Gorgias integration with Amazon and eBay in minutes! Previous Article Scaling Ecommerce Customer Service without Hiring Anyone New Next Article When Is an eBay Store Worth It?